UFO SIGHTINGS DAILY: Pyramid UFO Caught Over Mexico On Live Internet Cam On Oct 2018, Video, UFO Sighting News. 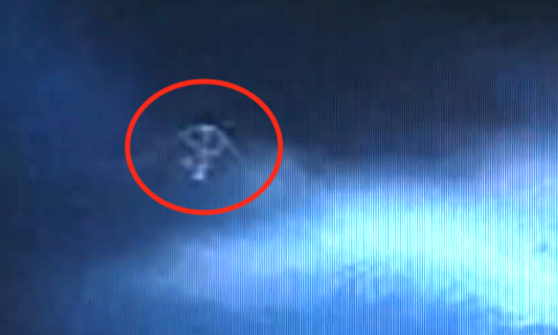 Pyramid UFO Caught Over Mexico On Live Internet Cam On Oct 2018, Video, UFO Sighting News. This video was made by a UFO researcher in Australia watching the live Mexico City cam. He is famous for his hard work in the field and this time he caught an amazing Pyramid UFO that is semi cloaked moving through the clouds. I have heard of pyramid clouds, but very few legit reports come in like this one. As you see the cam takes a photo every few seconds so there is a jump in-between, but the UFO is seen in many still shots. Absolute proof that aliens are active in Mexico.